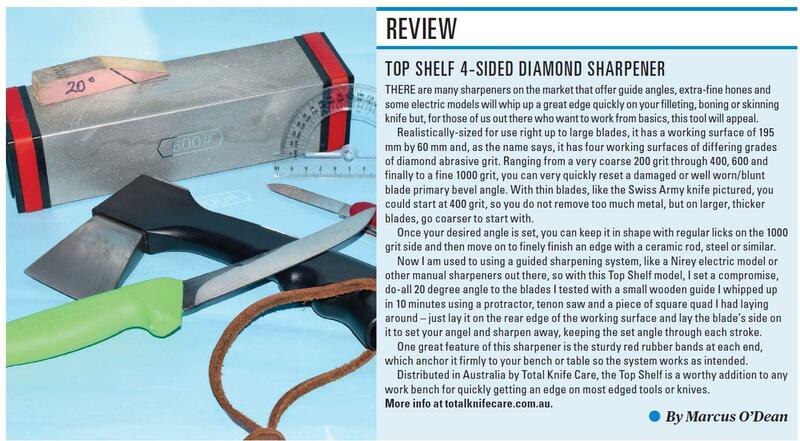 Total Knife Care is proud to supply the best electric and professional knife sharpeners in Australia. We are the Australian and New Zealand Importer and Distributor for the Nirey Electric Knife Sharpener range and I.O.Shen Mastergrade Chef's Knives. Total Knife Care was born as a result of a frustrated amateur chef, trying to find an effective knife sharpening system for all kitchen knives in Australia. Since its inception, Total Knife Care has become an industry-­‐leader. We have supplied Nirey Electric Knife Sharpeners to every Coles Butcher in Australia and continue to supply to all new Coles stores. Additionally, we are a top supplier of Jamie Oliver’s preferred knife, the I.O.Shen. Now with over 15 years experience, Total Knife Care has grown into a trusted brand throughout Australia and New Zealand, with 150 resellers of our imported products. The success of Total Knife Care demonstrates that our amateur chef was not the only one searching for an effective knife sharpening system. It is a fact that most kitchens contain a selection of knives that have been accumulated over years. These knives lay in drawers — blunt, unusable and unloved! Whether you are a professional or home cook, a sharpened knife is an essential tool. 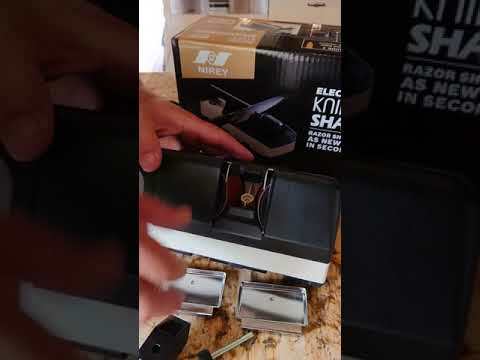 Total Knife Care believes that before buying an expensive new knife, you should look at your sharpening method. This ensures that you will be aware of when and how to sharpen your knife for the most effective use. To give our customers a guide on the best use of knives and sharpeners, we have developed a range of useful tools. Take your time to view our informative videos; check out our quality products for the home, professional kitchen or hunting and fishing; finally, read our latest updates on The Grind. Alternatively, find out more about Total Knife Care.